​Ruigrijk (Rough Realm) is home to most of the thrill rides of the park. Keep both hands on the steering wheel and pedal your way across the train tracks. Bring your pocket change and have a go at some traditional Dutch games: throw a few balls, hook a few ducks and you might win a cuddly toy! Rock back and fourth through the air on the biggest wooden swinging sail boat in the world! The old-timey cars of D’Oude Tuffer drive up and over the bridges and hills of this colourful landscape. But hang on to that steering wheel! Sail past the gigantic whale as you bob up and down on this carousel. 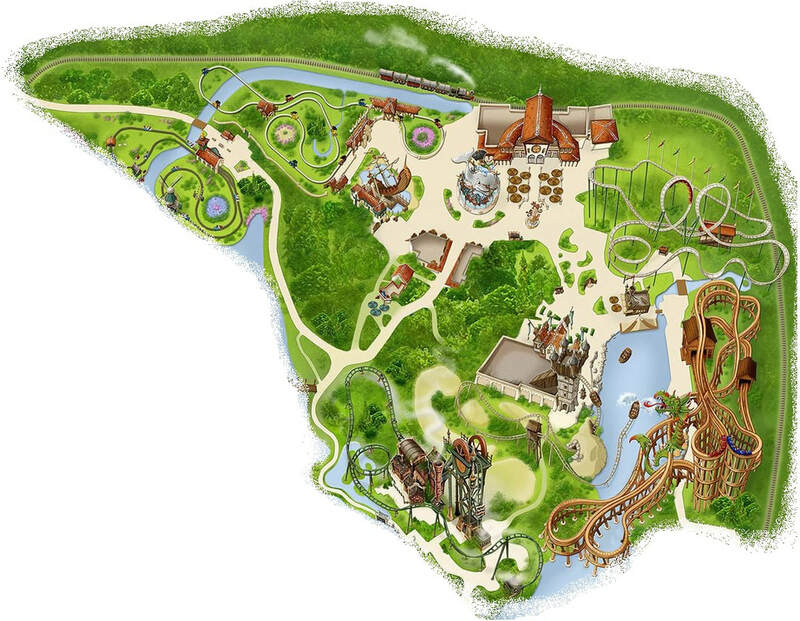 Get on the steam train and chug past the Efteling’s wonderful attractions. Dare to undertake this steel roller-coaster with two loop-the-loops and two cork screws. Compete with your friends in this wooden roller coaster. Beware of the dragon! Set off from a port in the historical Golden Age to meet the Flying Dutchman and suffer its fate.